Day 35. The impact of the Trump's federal shutdown, the longest in US history, reached full crisis today -- finally forcing the President to succumb to a temporary deal to reopen the federal government. For a full five weeks Trump has held the nation, and government funding, hostage over his demand for $5.7 billion for a wall at the US-Mexico border. Over 800,000 federal employees have been forced to go on unpaid leave or work without pay, stopping or significantly affecting delivery of critical government programs, funding and services under nine US departments and other agencies. The consequences have been catastrophic for the nation's economic stability, infrastructure and security, and brought home daily reminders of the devastating impact on everyday Americans who serve in, and rely on, our federal government. "For years the right has vilified federal workers as nameless, faceless bureaucrats, but the truth is they're air traffic controllers, food inspectors, they're transportation security officers and law enforcement ... our veterans. Many of these people are fighting for our country right now, and we are not paying them." This morning the Federal Aviation Administration, citing safety concerns stemming from a shortage of air traffic control staff, halted all incoming traffic to New York's LaGuardia Airport. 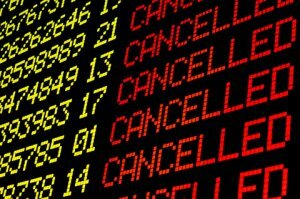 Outgoing flights at LaGuardia, Philadelphia, Washington, Newark and other major airports have been delayed by hours. 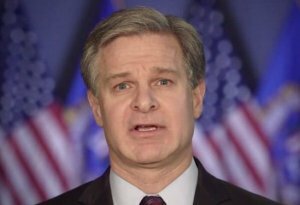 Today FBI Director Christopher Wray, in a rare public statement, released a video condemning the government shutdown and its impact on the agency's employees and the country. In a direct message to FBI employees, Wray emphasized the work being done behind the scenes to get them paid, while praising their commitment and dedication. "We are now five weeks, and two missed paychecks, into this mess .... I know tons of you are feeling the anxiety and the emotional strain of this shutdown. And 100% of you are feeling the financial strain. Making some people stay home when they don't want to, and making others show up without pay -- it's mind-boggling, it's short-sighted, and it's unfair." This afternoon at 2:20pm, President Trump announced a three-week deal to reopen the federal government -- without funding for the border wall. He threatened, however, that if his wall funding was not secured by February 15th, then he would take adverse action. "We really have no choice but to build a powerful wall or steel barrier. If we don't get a fair deal from Congress, the government will either shutdown on February 15th, again, or I will use the powers afforded to me under the laws and the Constitution of the United States to address this emergency." Help DemList with Contribution Today.